Mr Peter Hain (Neath) (Lab): The Motability car that my severely disabled constituent, Mark Francis, has had for 11 years is being taken from him in two weeks. Born with hereditary spastic paraplegia and unable to walk without crutches or sticks, he is sadly deteriorating by the week. I have been told that his case will be reconsidered, yet the Department for Work and Pensions is punitively and callously snatching his car from him on 25 February. Will the Prime Minister immediately rectify that heartless and disgraceful injustice? The Prime Minister: As ever, I am very happy to look at the individual case raised by the right hon. Gentleman. Of course, with the replacement of disability living allowance with the personal independence payment, the most disabled people will be getting more money and more assistance, rather than less, but as I say, I will happily look at the case. Peter Hain called on David Cameron to stop his government “acting callously and punitively” against a disabled constituent badly let down by glaring failures in the Motability regulations. His constituent, Mr Mark Francis, suffers from a rare disorder known as Hereditary Spastic Paraplegia – this badly affects the muscles in his legs, making it difficult and painful for Mr Francis to walk, he must use crutches as a consequence. Mr Francis began using a Motability car in 2004, however after recently being transferred from Disability Living Allowance to Personal Independence Payments, he was shocked to discover that he was no longer considered eligible for the higher rate of Motability payment. He received a letter from the Department of Work and Pensions notifying him of its intention to take away his Motability car by the 25th of February. Mr Peter Hain (Neath) (Lab): In welcoming the new Minister to his post, may I suggest that, instead of trying to do an impression of a jumped-up rottweiler, he should try to understand and recognise the reality of the miserable state of employment for far too many workers in Wales, whether they are on zero-hours contracts, are among the 150,000 who are underemployed and want to work more hours but cannot, or are among the 50,000 people who are being shoved off disability benefits and into a world of work that is mean, difficult and hard? Alun Cairns: The abuse of zero-hours contracts is an important issue and that is why this Government are taking action to ban them. The right hon. Gentleman mentioned people in part-time employment. Only 19% of part-time employees are looking for full-time work. We will take strong action against those employers that are abusing zero-hours contracts, but zero-hours contracts are important to many people, such as carers, to encourage and facilitate their path back to the workplace. 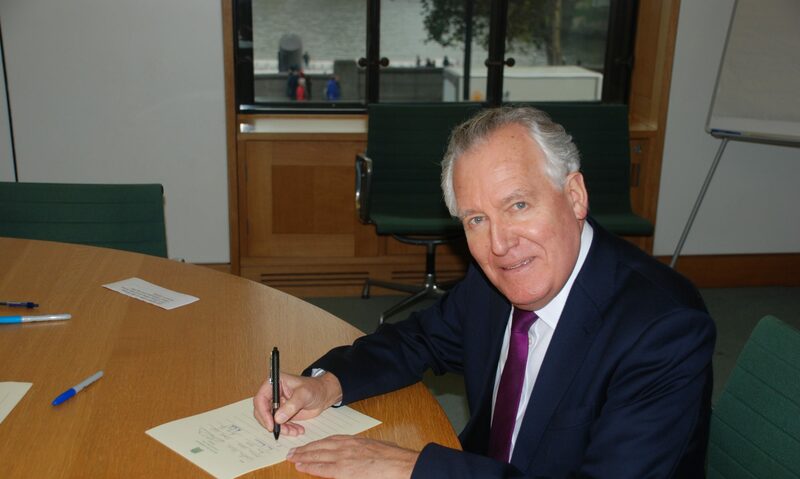 Mr Peter Hain (Neath) (Lab): It is a pleasure to serve under your chairmanship, Mr Owen. I apologise at the outset for having to leave immediately after I finish speaking, to undertake an official appointment relating to my duties as a former Secretary of State for Northern Ireland. I will not hear the Minister’s reply, but I will of course read it. In the short time since personal independence payments have come into force, it has quickly become evident that the system is miserably failing people and leaving some of the most vulnerable in our communities in absolute desperation. My Neath constituency has one of the highest rates of take-up of the old disability living allowance, a legacy of the industrial heritage that once provided livelihoods for many of my constituents, but has now resulted in serious health problems—a heavy price to pay. For those six months they have been living off savings to help them to adapt to their conditions. The prospect of a backdated payment is of no comfort to them as they struggle with day-to-day tasks that many of us take for granted, while their families suffer under the stress and strain of caring for them. In some of the cases processed by Capita, health care reports have not been up to standard and further information has been required. That involved going back to the assessor and requesting further information. In one case, a second face-to-face assessment was required, and in one astonishing instance it came to light in March 2014 that despite the assessment being carried out in November 2013, no assessment report had been prepared by the assessor. Those constituents’ misery and distress seems to have no end. The protracted ordeal is just to get the assessment report from Capita to the Department for Work and Pensions. As the assessment reports start to trickle through to the Department, the emerging trend is of further delays in the final decision after the report has reached the Department. So after months of waiting with Capita, applicants face further delays, and that only adds to their misery. “the report is in the final stages with a senior healthcare professional”. One event epitomises his situation. He woke up one morning and asked his wife to leave him in bed as he was feeling unwell. Shortly after she left for work at 8 o’clock in the morning, he suffered a series of convulsions that lasted approximately 30 minutes. He had difficulty breathing and removing his continuous positive airway pressure mask, which he has to wear because of obstructive sleep apnoea and the danger of a stroke or heart attack. He was unable to get out of bed for the rest of the day until his wife came home at 4.30. He did not eat or drink all day and had to urinate into a bottle. My constituent’s wife is caring for him but because he has no income from PIP she is at the point of utter exhaustion. The decision to award the benefit is vital to enable his wife to give him the proper care and supervision he needs. Until a decision is made, the couple cannot arrange that care, and their life is in limbo. In March, my constituent finally received his decision notice, only to be informed at the end of the month that a stop had been put on his payment—a decision that could not be explained when he phoned DWP. It has now been nine months and he has not received a payment. DWP’s decision notice states that he is owed a back payment of more than £5,000. He has been let down by Capita and the Department for Work and Pensions as his anguish goes on. That sentiment is felt by many who have lost faith, which is a dreadful stain on the Department for Work and Pensions, where I served as Secretary of State. The excruciating stress and anxiety is hitting people seriously, including cancer sufferers and ex-servicemen with post traumatic stress disorder. Ministers should be ashamed of the system, which is punitive, nasty and causes abject despair to far too many people. Kevin Brennan: To emphasise the dilemma facing our constituents, I should say that in a similar case in my constituency a women who suffered a stroke made an application in June 2013, and has just received the benefit. Her husband elected to reduce his hours at work as a result of which they lost the tax credits that they were entitled to, so they went into even deeper problems as a result of the unacceptable delays. Mr Hain: My hon. Friend makes an important point. I am not going to make personal attacks on Ministers because they probably believe they are doing a professional job, but I sometimes wonder whether they have any idea of what is happening on the ground as a result of their policies. If the Atos debacle taught us anything, it is the importance of getting the decision right in the first place—in my constituency, the local welfare rights unit had an 80% success rate with its appeals against Atos’s decisions—but that should not mean waiting unacceptably long times such as six, seven or eight months for a decision that could dramatically affect somebody’s life and income. Action must be taken immediately to address this inexplicably lengthy and prolonged system that is causing misery and despair for applicants. The turnaround of applications must be drastically accelerated by both the assessment provider and the Department.